Unless caused by an underlying health issue, the simplest way to reduce facial puffiness is to soak a washcloth in icy cold water and place it on your face for a while. This can help bring down the puffiness to some extent. Furthermore, you can place two tablespoons in your freezer and massage your face with them. Before exploring other treatment options, though, it would be wise to learn about the various reasons that are likely to give to this problem to rule out the possibility of any serious medical condition. Thus, facial swelling and puffiness can be caused by a number of factors like fatigue, stress, fluid retention, dehydration, nutritional deficiency, excessive alcohol consumption, and obesity. Moreover, underactive thyroid, Hashimoto’s thyroiditis, autoimmune disorders, kidney disease, tooth abscess, sinus infection, mumps, exposure to allergens, preeclampsia during pregnancy, etc. may also cause the same. Besides, a diet high in salt and carbohydrates also contributes in this problem. More often than not, the puffiness tends to be more during the morning than at any other time during the day. Consequently, it is often suggested to keep your head elevated while sleeping by using a few additional pillows to avoid buildup of fluids around your face. • Pour green tea in an ice tray and place in the freezer. Rub these green tea ice cubes on your face to reduce the swelling. It also makes you feel fresh and helps maintain younger-looking skin. • Similarly, cucumbers are considered highly beneficial for getting treating facial as well as under-eye puffiness. So, run a washed cucumber through a blender and apply this pulp on your face for about 20 minutes. To make this remedy more valuable for the skin, you can add a little milk or lemon juice in the cucumber paste. Here is a video showing hoe to make a DIY cucumber facial mask and toner. • Prepare coffee and cocoa mask by mixing together four tablespoons of finely ground coffee, four tablespoons of cocoa powder, and eight tablespoons of plain yogurt, whole milk, or heavy cream. You may also use coconut milk. In case you have dry skin and do not want to use dairy products then you may add almost four tablespoons of almond oil, olive oil, or any other oil of your choice. Besides, you can mix an egg in the recipe instead of milk or oil. Finally, add two tablespoons of lemon juice in the recipe. Those with dry skin can substitute lemon juice with organic honey. Smear this paste on your face and wash it off after 15-20 minutes to brighten your skin and decrease facial swelling. 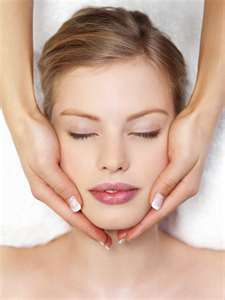 • At times, there develops swelling and inflammation surrounding acne and pimples. In such cases, you can apply a combination of honey and nutmeg powder as a natural cure. • Mash a few ripe strawberries, and add one tablespoon of extra-virgin olive oil, and two tablespoon of honey in it. Apply this facial mask for 10-15 minutes and then rinse it off to help reduce facial swelling and redness. It also heals dark circles and puffy eyes. Apart from using these beauty remedies, you can consider cleansing your body through detoxification to get rid of toxins and lymphatic material. Plus, make adequate dietary changes and drink sufficient water throughout the day to avoid facial puffiness caused by water retention or dehydration.